Medjool has two months to play nice with neighbors. 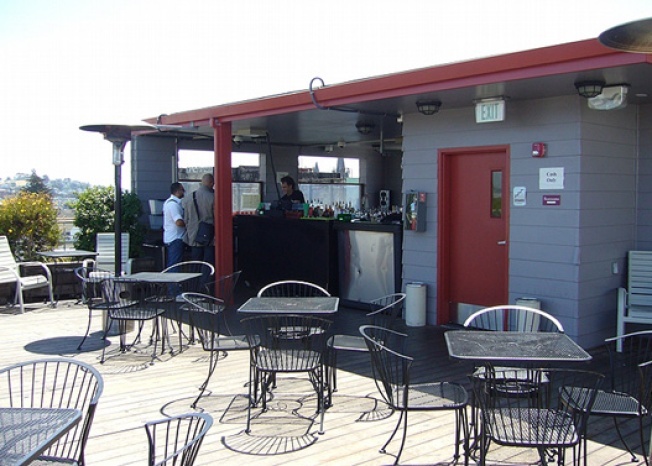 Nearly a year after the issue of its illegal rooftop bar was first brought to light, Medjool finally had its day in court Thursday, though a definitive ruling still wasn't handed down yet. The upshot of Thursday's two-hour hearing before the Board of Appeals was that the board voted four to one in favor of granting Medjool "the benefit of the doubt" and giving owner Gus Murad until Feb. 10 to get the proper conditional use permits. Furthermore, they suggested that Medjool try to act in good faith towards its main detractor—the Buddhist temple next door—by immediately limiting rooftop noise and music. If you can't make nice with peace loving Buddhist, who can you get along with? But the best excerpt from the story: "Hala Hijazi, who formerly worked for the Economic Development Agency under mayor Willy [sic] Brown said she drives all the way from the Marina just to eat at Medjools [sic]. 'It is like the Nordstroms of restaurants," she said." Amazing. The problem began when Medjool caught a lucky break and a "typo" allowed 20 extra feet in height for the proposed development of another nearby building. The Board of Supervisors tried to fix the problem by Mayor Gavin Newsom, who is friends with Murad, vetoed the bill. In all the confusion a zoning ordinance was uncovered that showed bars and restaurants were banned from being above the second floor of a building in the neighborhood. The discovery made Medjool an illegal establishment.